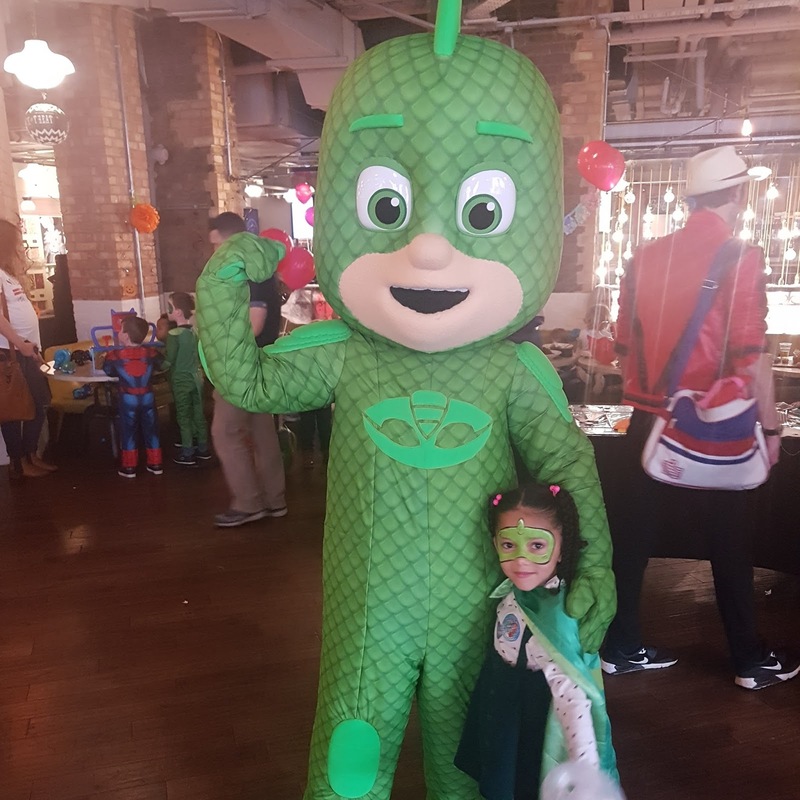 Last month something pretty exciting happened........Darcy was invited to the PJ Masks Halloween Party, hosted by eOne and License to PR. 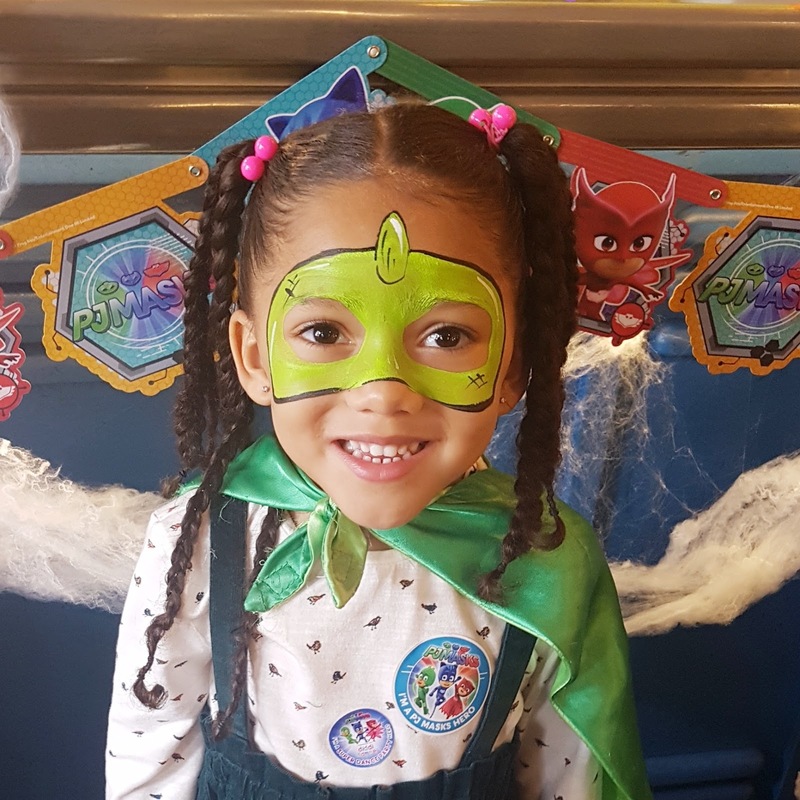 If you don't know who the PJ Masks are, well I don't know where you have been hiding. The PJ Masks are three 6-year-olds, Connor, Amaya, and Greg, who lead relatively normal lives by day, where they are neighbours, classmates, and friends. 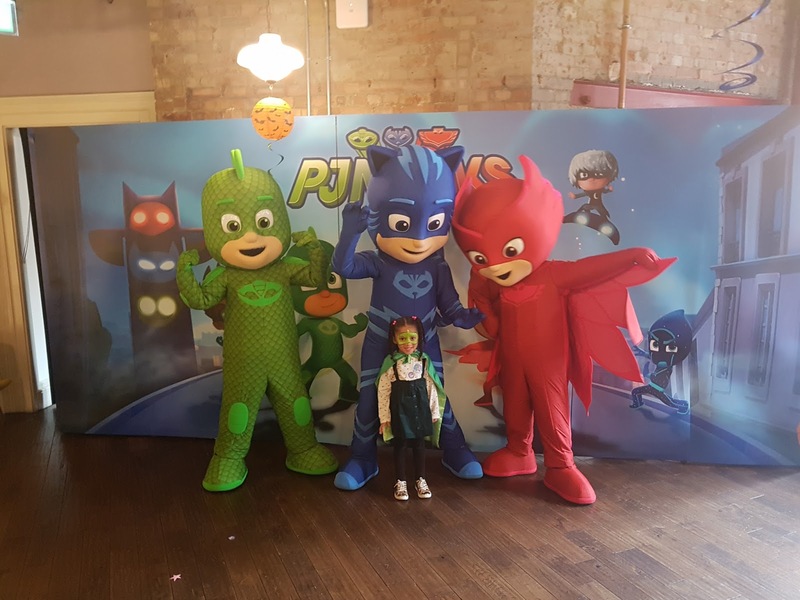 However, at night, they become Catboy, Owlette, and Gekko, and fight crime as the PJ Masks, a superhero team. The party was held at the very hip Picturehouse Central in Leicester Square. 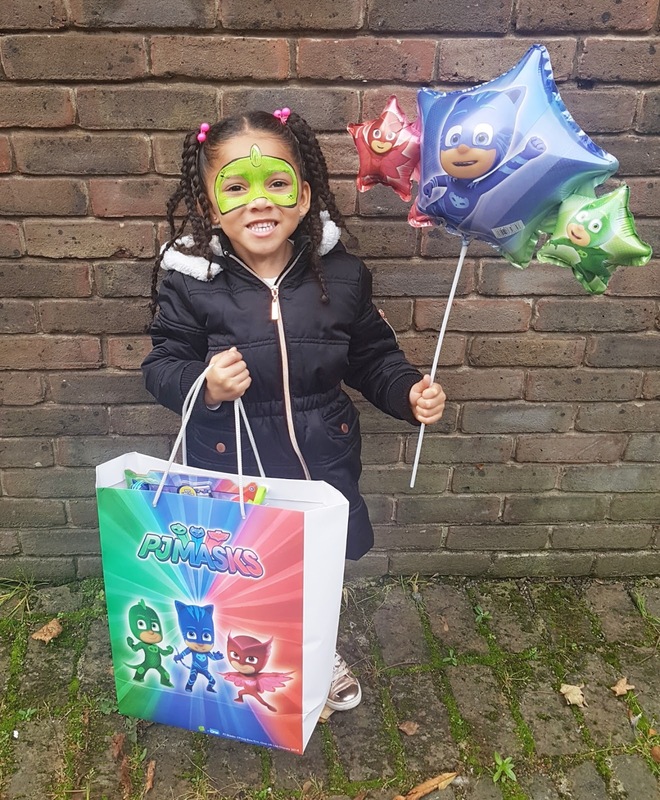 Which was decorated in the PJ Masks colours of blue, red and green. There were face painters, a balloon modeller and an arts and craft area where the children were able to decorate their own masks. 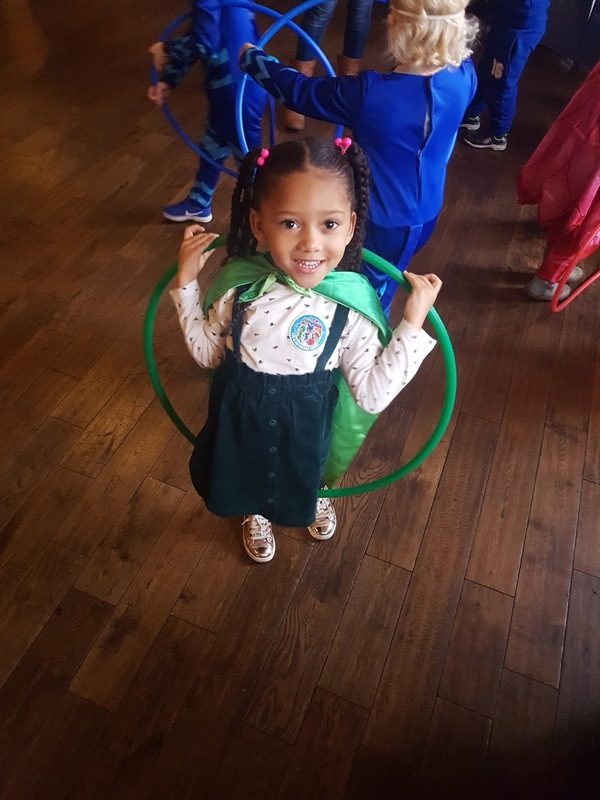 The children took part in a special PJ Masks Diddi Dance session to promote the week-long "PJ Masks Super Dance Party" classes ran between 30th October to the 5th of November at over 600 diddi dance classes nationwide to raise money for the Youth Sport Trust Charity. It was very energetic with lots of different dance moves and props to dance with. Then the moment which tends to happen a lot in my old age "Happy Tears" The PJ Masks decided to pay the children a visit. D eyes lit up when she saw her favourite her hero Gekko. She couldn't wait to give him a hug and a high-five and to take some pictures with him and the rest of the superheros team. Catboy, Owelette and Gekko invited us for a bite to eat before we headed upstairs for a special viewing of an unseen episode – Take to the Skies, Owlette! We also got a peek preview of series 2 and there is a lot to look forward to. Even I, Leighanne a 35 year old woman could not contain my own excitement!! Make sure you tune into Disney Junior every day at 5:45pm in November and December to watch the new episodes. Thank you License to PR and eOne for inviting us, you made Darcy's day.